Janesville, Wisconsin – Thou shalt protect thy hands. That is what everyone should be thinking when they hit the track or trail. 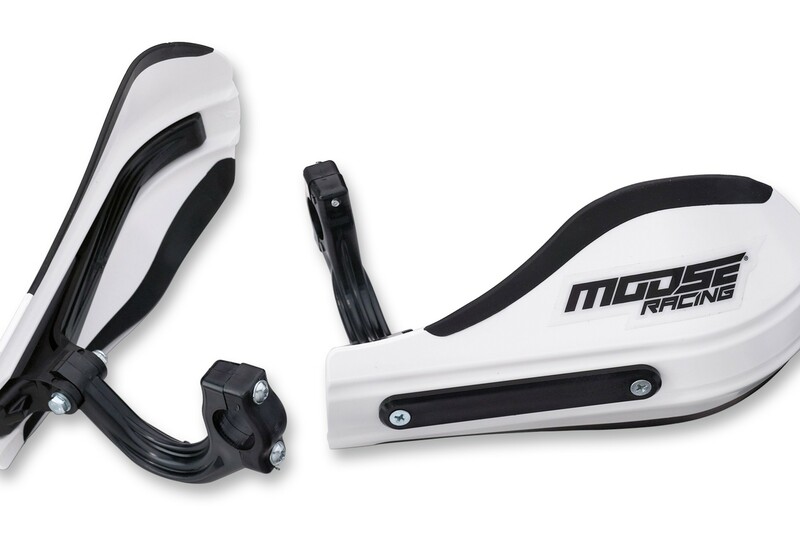 The brand-new Moose Racing Roost 2 Handguards will do just that. Featuring a lightweight, composite construction, the Roost 2 Handguards front reinforcement bar creates the optimal amount of rigidity and controlled flex to deflect anything from loam, rocks, and tree branches. Lever position will not impact mounting with the ability to position the Roost 2 Handguards over or under your lever perch and 3 different points of adjustment from the end of the handlebar. Made in the USA and available in 6 different colors, the Roost 2 Handguards have a suggested retail price of $49.95 and are now available at your local Parts Unlimited® dealer.